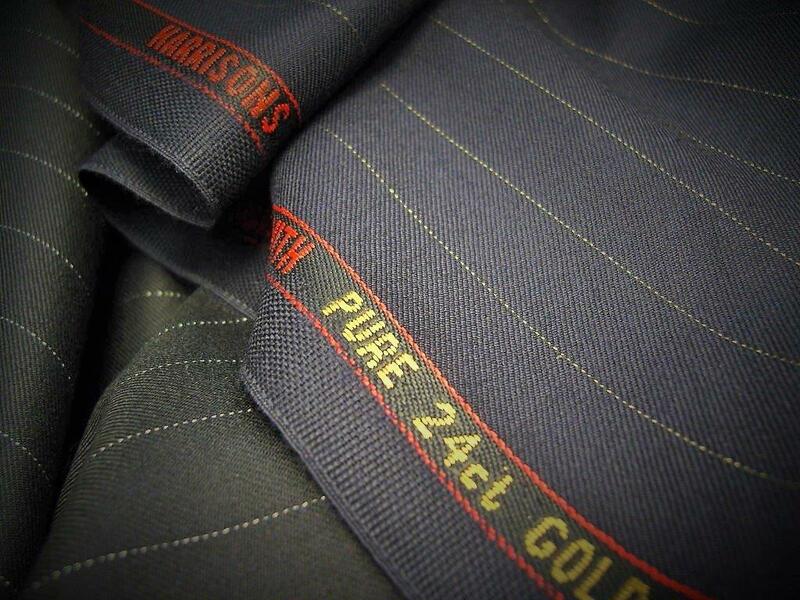 Last week the sale was finalised of the W Bill and Smith’s cloth brands to LBD Harrison‘s. The company, run by Mark Dunsford, has been built on acquisitions, starting with Pedersen & Becker over 20 years ago and more recently Porter & Harding, Harrison’s of Edinburgh and in 2010, H Lesser. So what does this increasing concentration of the industry mean for bespoke customers? Permanent Style: How long has this sale been in the works? Mark Dunsford: Well given our acquisitions over the past few years, I think everyone knew we would be interested if another merchant was on the table. We all know each other and get along very well. So when David Graham, the owner, decided to retire he asked us if we wanted to talk about it. That was around 18 months ago. Why did he want to sell? The company had been in the family for a while, but he’s 67 now and had enough of travelling around Europe I think. He also knew we had a fairly good track record with looking after these small British brands, so he would rather sell to us than to a larger company. He had bought W Bill himself in around 1990, ahead of us. What’s the state of the business? It’s in decent shape, it makes money. That’s very different to the brands we bought previously, which were in pretty poor shape for various reasons. The brand and the stock, essentially. There is no manufacturing, unlike Italian mills, so it’s just the value inherent in the designs and the bunches, and their popularity with various tailors. We are unlikely to take on any extra staff either. In this market, it’s always been very hard to increase market share with more or better bunches. Everyone has their bunches in the tailors, and everyone’s share of the pie is pretty consistent. Acquisition is the only way to grow. Will this mean less choice for bespoke customers? Well a lot of the British merchants share manufacturing, so the designs are often very similar. If you look at the basic Lesser and Smith’s bunches, they are almost the same. It’s not a like Dormeuil or a Scabal, where they are designing primarily for RTW garments to be made in the Far East. There is much less original design work in the cloths produced for bespoke tailors, particularly in the UK. We stick to what we’re good at. But there are still bunches and cloths that would be missed. I’ve always been a fan of Moonbeam, for example, and I noticed recently that Harrison’s and Loro Piana are the only two to offer a cashmere overcoating over 20oz. Absolutely, and we plan to retain all those existing bunches. Is there a risk that the choice overall will decrease, however, with just one design team putting together the bunches for all these brands? Possibly. The key is maintaining the navy and grey worsteds that are the bedrock of the business, though. That’s what keeps the industry alive. When you look at the Lesser bunches before it was sold, even the basic bunches were pretty depleted. 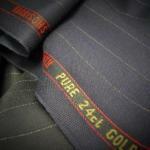 We need to make sure that the popular cloths are consistently available, in the same quality and all still made in UK. Do you have any plans to create new designs for the brands you have acquired? W Bill will be a big focus over the next 18 months. There is a lot there that needs improving and modernising. A lot of the patterns are repeated; a lot are too heavy for a contemporary audience. We don’t want to lose that, but we want to mix it up with some things that are a lot more lightweight – softer jacketings that are so popular today, competing with the likes of Caccioppoli. There will always be a customer that wants heavier or old-style cloths, though, as shown by the popularity of online cloth clubs. Do you plan to cater to them? That’s something we want to retain with the Porter & Harding brand. That heavy, Scottish tweed will remain in those bunches, while we do more original, funky stuff elsewhere. It’s early days yet – we don’t have a firm plan. But that’s the direction we want to go in. Do you have any plans to do more direct sales of cloth to bespoke customers? I’m not against it – we do a little bit with customers that are off the beaten track, in Hong Kong for example. They phone up with the specific cloth number and we can ship it out. But it’s a bit messy and inefficient. It takes a lot of time. Could you sell more online? Possibly, but it’s very expensive to set up and hard to reproduce the exact colour or texture of the cloth. The feel of the fabric is so important that it would kill me a little bit to do it. I know John Foster’s and Hunt & Winterbotham sell online, but actually we just employed the guy at Hunt & Winterbotham who set it up and they made very few sales. There’s a risk you lose your focus as well, I think. Stick to developing great bunches and being a good merchant – that’s what we do well. I suppose I’m a little old-fashioned like that, but there we are. Who do you see as your main competition now? 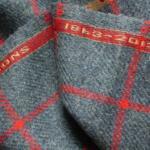 Holland & Sherry I suppose – I haven’t had a call from them yet about the sale but I’m sure I will – and Dormeuil, Scabal. But the thing with those big companies is they make most of their money selling to the garment industry. The UK is not a big market for them. Holland & Sherry concentrates on America, Dormeuil in the Far East, Scabal in South America and other places. I’m sure they see the UK as important (probably Holland & Sherry more than the others), but they’re not real competition for us with the West End and City boys. The offering is also different, along with the price. They tend to be more expensive and much lighter in weight. Have you seen any fallout from the Loro Piana sale yet? No, I think that will largely affect the Italian market rather than the UK. Cashmere sales in Italy is probably the only area we would cross over. Do you think you have preserved the future of these British brands with the buyout? Possibly, yes. The thing about being a cloth merchant is it’s a long game. Once you have bunches out there, you need to repeat them and keep them supported. The moment you want to try and get out, you have a dilemma. If you start chopping up the bunches and not supporting some of the cloths, the tailors stop using them and you end up with a load of stock you can’t sell. David was patching up the W Bill and Smith’s bunches a little to keep them going, but he sold at the right time. If he had waited, he might have ended up with a situation like Lesser’s – they couldn’t sell cloth, so didn’t have any money to buy new stock, and it all circled downwards in a vicious circle. It’s good to have bought the company from David while it was still making money. You can follow the discussion on W Bill and Smith’s sold: Mark Dunsford interview by entering your email address in the box below. You will then receive an email every time a new comment is added. These will also contain a link to a page where you can stop the alerts, and remove all of your related data from the site. Not sure if this is the right place to post this but I work in a casually dressed office. Quite a lot of workers are very casual i.e. distressed jeans and t-shirts. What should I wear too look good but not too ‘try hard’? I want to look good but not stand out for looking ‘too good’ amongst all the (generally) poor dressers. Good question James, and maybe one I’ll go into in a future post. Make sense, as an order? Hi Simon, thanks for the reply. Really enjoy your website, very informative. At the moment I tend to alternate between dark jeans and chinos usually with an oxford shirt (although not always) and some form of knitwear over the top. Thanks for the ideas. Your interviews are excellent! Thank you! Interesting post. How does IP figure in something like this? I note that the main assets in this sale were the “brand and the stock” and it is said that “the designs are often very similar” across various merchants given that they share manufacturing. I suppose that means it is the manufacturers who hold IP rights (if any) rather than the merchants? No, the merchants are primarily responsible for all the designs, so they would hold unregistered design rights and copyright. I don’t think anyone registers cloth designs though… I hope everyone has registered their trade mark, on the other hand. Of course – that was why I asked in particular! There is interesting crossover between the two fields. As someone new to bespoke and choosing cloths (2 years) I have found meaningful differences among the British firms difficult to discern. In the end, I’ve chosen fabrics from the QZ book by Minnis for my suits and been very happy with the results. For summer jackets, I have focused on the Italian mills because I can see more easily differences among the firms (fabric combinations and weights) and the colors are really lovely. This post has definitely helped me understand the British firms and their histories more clearly. However, I cannot help but feel that some brand consolidation is needed to rationalize the lines so the focus is on genuine brand/product differentiation, new cloths and great customer service. Fox Flannel is doing this and their efforts appear to be working. I certainly like what I see on the Merchant Fox website. Hopefully, the purchase of W Bill will lead to some great fabrics and brand clarity. Thanks Scott. I think all the brands that have been bought would say they were also focusing on genuine brand/product differentiation. No one thinks they are making the same as anyone else. It’s hard to support consolidation but also the work of a small mill like Fox. Presumably you wouldn’t want Fox to be bought up? No – I certainly would not want Fox to be purchased. 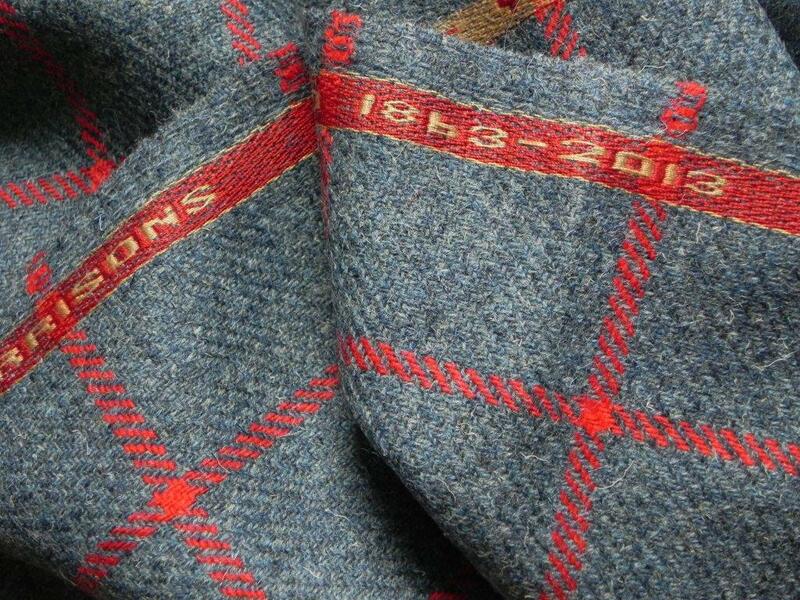 I only mean that when looking at cloth books with a tailor I’ve had difficulty finding qualitative differences between fabric categories – such as 10z or 120z worsted cloths in blues/grays – during a 60/90 minute appointment. Pretty quickly, the all look/feel the same. I realize I’m a bit of a bespoke rookie pawing through cloth books. But I have an easier time with the Italian cloth books, for example. Their book breakdowns – description, fabric combinations, weight, etc. – are more clear and therefore rational in my mind. Perhaps in time the differences of some of the British cloths will become more clear. Thanks again for posting the interview. hello simon, always enjoy your writing. i see the merchant fox mentioned in your interview. help me! i tried to purchase a pair of their rtw grey flannel trousers, but alas, out of stock and don’t know when they will have them in my size. would you know the tailor that makes the trousers for them. if not, could you recommend a good tailor to make me a pair of flannel trousers. I’m looking for a pair of Fox Bros flannels. Bespoke Mears of Walsall can make them. 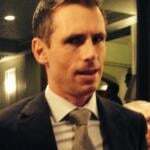 Does anyone have experience of the quality of their tailoring. Mark makes mention of the 2010 purchase of H Lesser a number of times. What are your thoughts of the perceived dropped of quality by a number of tailors that I have worked with over the years? H Lesser seemed to be in a very bad financial shape before it was bought over. Do you have any information on same? Considering they are merchants could it be perceived that they are not holding the mills and finishers to the previously high standards? Funny that you mentioned that. Dropped off a Lesser length at my tailor today and he took one look and said this is going to shrink. Whilst waiting for the Hammers game to begin, I can’t help but wonder which team do you barrack for.